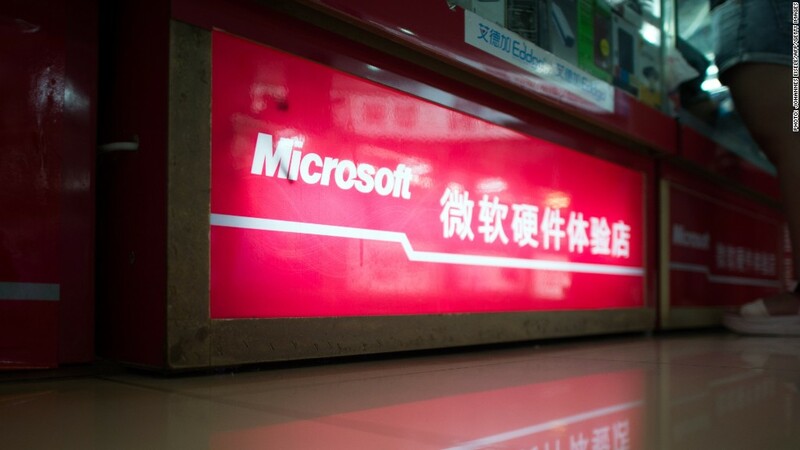 Microsoft finds itself under scrutiny by the Chinese government -- again. Authorities say they're investigating the company for possible violation of China's anti-trust laws. The government says Microsoft has not fully disclosed information related to its Windows and Office systems, without providing more details. China's State Administration of Industry and Commerce visited Microsoft offices in Beijing, Shanghai, Guangzhou and Chengdu Monday as part of the probe, according to a government statement. Top-level managers are also being questioned. Microsoft has also confirmed the investigation. "We aim to build products that deliver the features, security and reliability customers expect, and we will address any concerns the government may have," said a company spokesperson. U.S. technology companies are facing increased pressures in China as the countries trade accusations of cyberspying. In addition, the corporate environment is getting tougher -- Beijing is waging an anti-corruption drive that has hit domestic and foreign firms. This is just the latest challenge for Microsoft (MSFT) in China, which has long battled rampant piracy in the country. Microsoft estimates 90% of Chinese PCs are running illegal copies of Windows software. Earlier this year, its Windows 8 operating system was banned from all government computers. And a long-standing ban on sales of Microsoft's Xbox -- and other foreign games consoles -- was only lifted this year. Because the firm doesn't break out its China revenues, it's hard to determine exactly how much might be at stake for Microsoft. Last year, Qualcomm (QCOM) was also targeted in a similar probe. The company said China was looking into the company's licensing business, and that the investigation had hurt revenues.